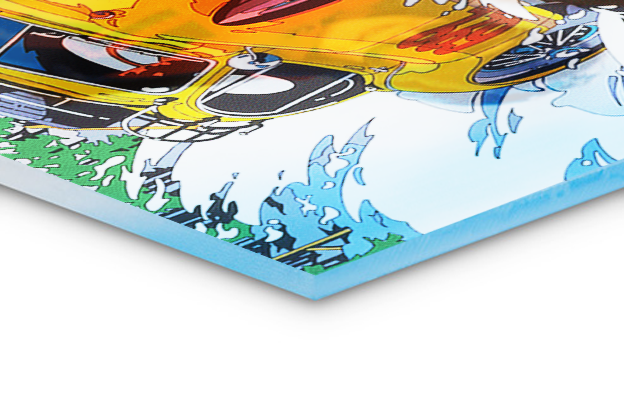 Your printed photograph, covered by an ULTRA GLOSS film which protects it from moisture and UV light, is fixed onto a plate of composite Dibond aluminum. This non-standard material, constructed through the assembly of two plates of aluminium just a few tenths of a millimetre thick, gives your print amazing mechanical properties, especially lightness and great stability of form. A discreet, easy-to-use and ultra-resistant hanging framework is included to ensure the image can be attached flush against the wall. 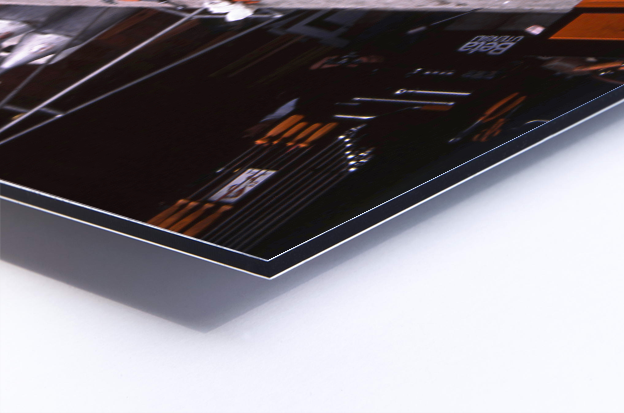 Your image is fixed onto a plate of composite Dibond aluminium and covered with a plate of acrylic plexiglass. The image is perfectly protected and acquires a depth, better contrast and the intensity of the colours is enhanced.